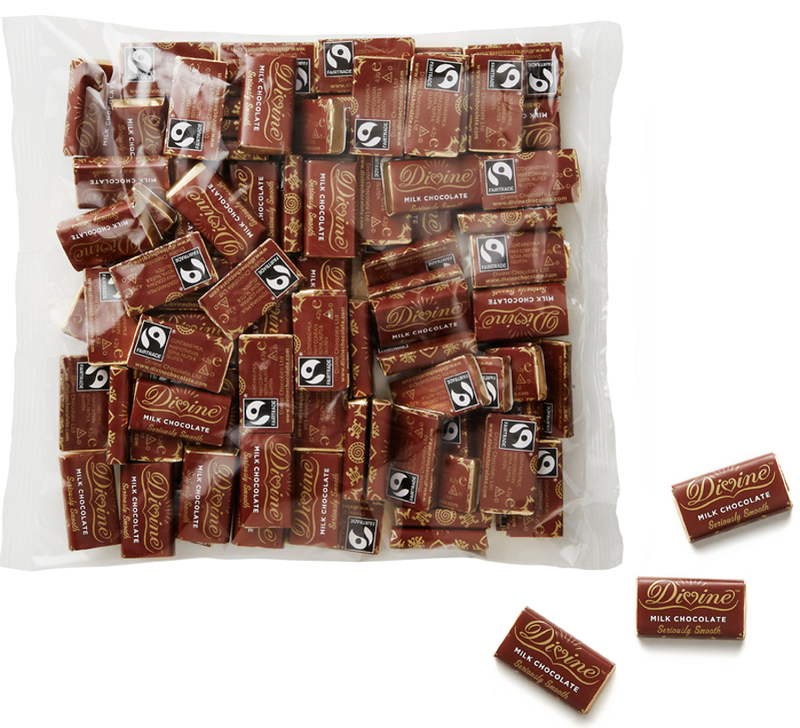 Now you can enjoy a delicious mouthful of Divine Fairtrade chocolate - a bite-size treat with a heart. The Day Chocolate Company is delighted to announce the introduction of the 4.2g Divine bar - perfect miniature bars of Milk Chocolate. Made with all natural cocoa butter and vanilla and wrapped in the sophisticated gold and black Divine livery the miniature bars are perfect for a distinctive complimentary gift accompaniment to after-meal drinks or an irresistible mini-purchase displayed in a counter-top tub. 100 Divine mini's in each bag. Fairtrade sugar, Fairtrade cocoa butter, Dried cream, Fairtrade cocoa mass, Whole milk powder, Emulsifier, Soya lecithin (non GM), Fairtrade vanilla. May contain gluten, soya and nuts. 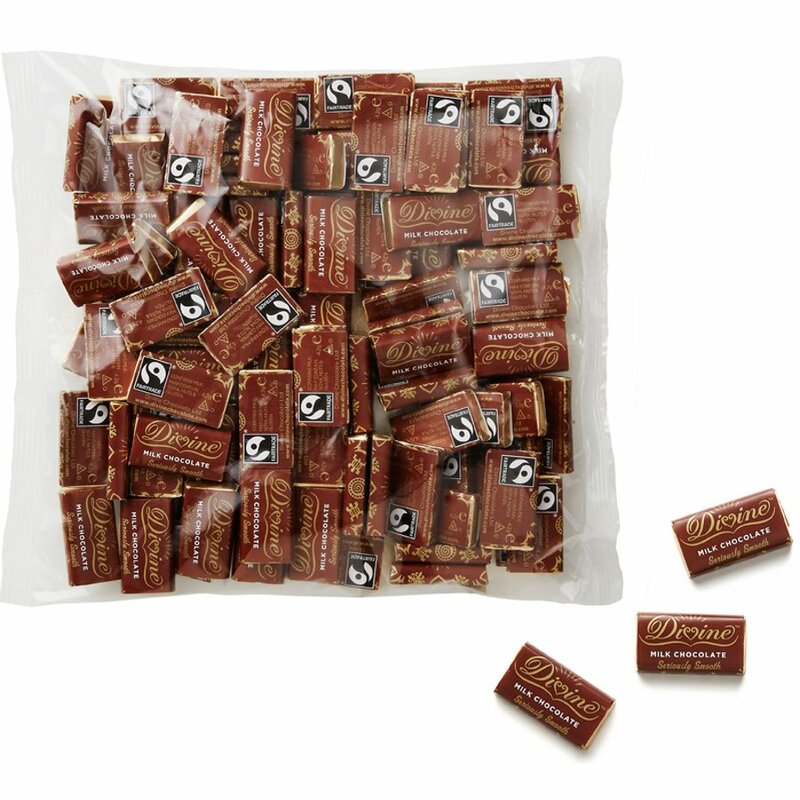 There are currently no questions to display about Divine Milk Chocolate Minis - Pack of 100 Mini Bars.